Triangle corner shelves are a versatile way to bring some elegance to your home. If you are looking for an easy DIY project, putting up glass triangle shelves is perfect for beginners. 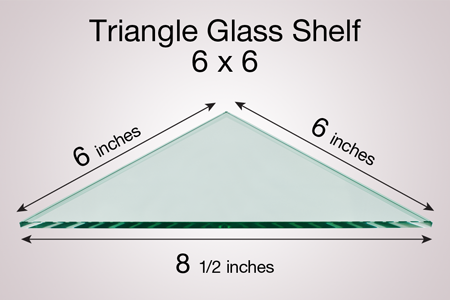 Our triangle shelves are made from high-quality, tempered glass, so they are safe for installation anywhere. Each shelf is finished with a flat polish edge for a beautiful shine. Stack more than one triangle shelf to create a unique display in the corner of your room. You can ever stagger sizes for an easy DIY shelf project. We offer a range of shelf sizes, from large triangle shelves to small. The complete range is: 6"x6", 8"x8", 10"x 10", 12"x12" and 16"x16". Don’t forget to purchase our high-quality shelf brackets to go with your triangle glass shelf. We sell them separately so that you can choose the exact look and style you like. And, rest assured that these brackets are not the cheap or flimsy kind that often come with triangle shelf kits offered from other manufacturers. 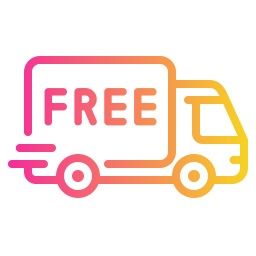 You want to keep anything you choose to put on the shelves safe with the sturdiest and most supportive hardware that you can get. 6" x 6" 8" x 8" 10" x 10" 12" x 12" 16" x 16"